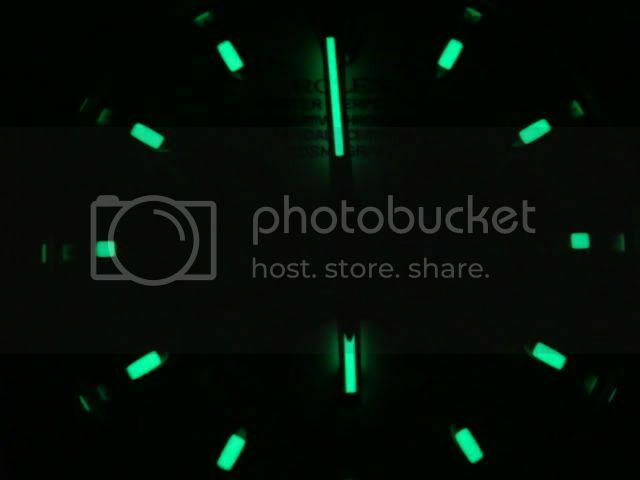 Discussion in 'Watch Reviews' started by SPACE-DWELLER, Jun 26, 2008. The Daytona with the in-house movement Cal. 4130 was introduced at the Basel World Fair in year 2000. The predecessor was the Daytona with modified Zenith El Primero movt. Cal. 4030 (introduced in 1988). Rolex heavily modified the Zenith E.P. 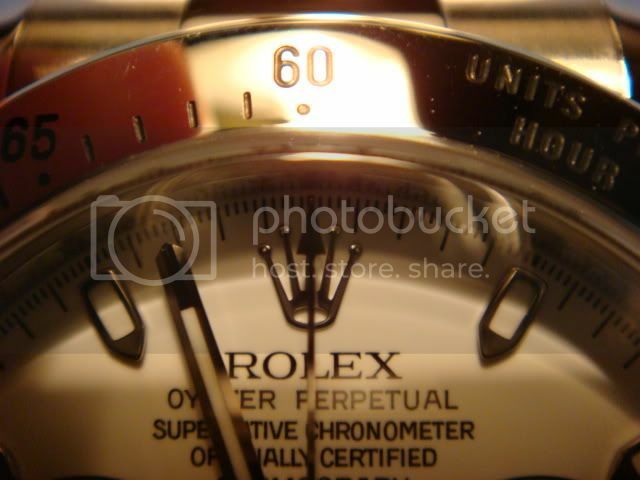 movt., and besides other modifications, Rolex altered the bpH (beats per hour) count from 36,000 to 28,800 (from 5 to 4 Hertz). Only about half of the parts of the original Zenith E.P. movt. were untouched after the modification (source: "Chronos", 4/2000). 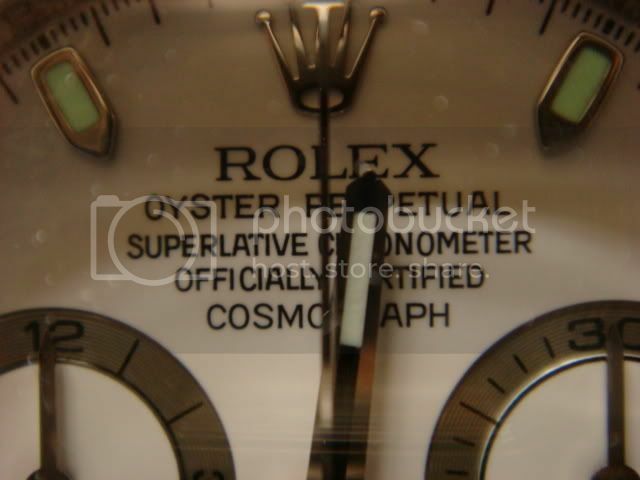 Rolex had been working on launching the new in-house movt. LONG before year 2000. Already on October 31th. 1995, a patent with drawings of parts of the movt. construction was applied for (Swiss patent number CH199 5000003077), and on October 29th. 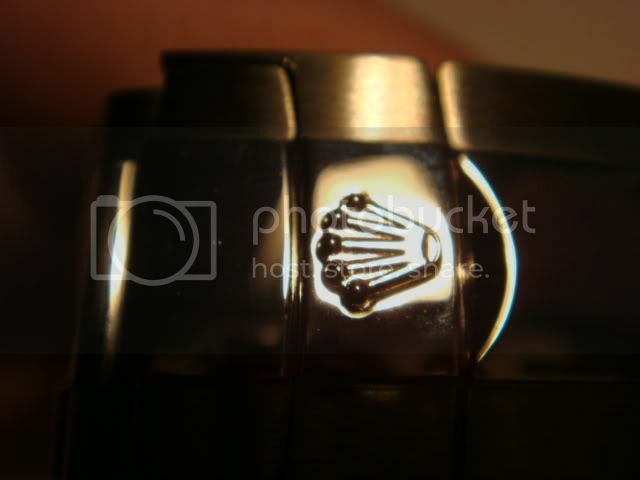 1996, Rolex applied for further patents of the movt. (US patent number 5.793.708). (Source: "Chronos", 4/2000). Now to the Daytona 116520. The Daytona movt. 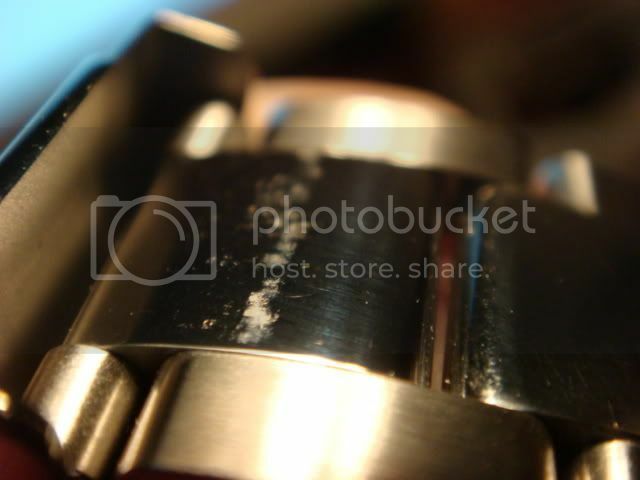 is held in an Oyster case with Triplock crown and two screw-down chronograph pushers. WR is 100 metres. 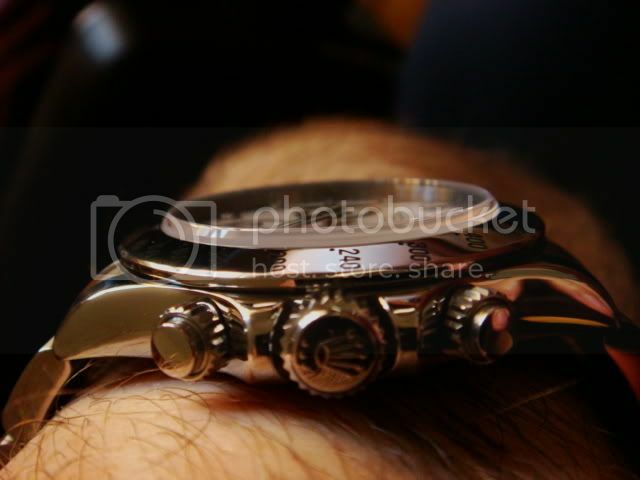 The screw-down feature of the chronograph button acts as lock nuts to prevent unintentional activation under water. 1) the pushers on the predecessor, the "Zenith" Daytona, were not placed at 90 degree angle, but slightly off-angle. 2) the "feel" and sound of the chronograph buttons being activated was in fact perfected by Rolex engineers by simulating the "right" sound and feel via computer aided design programs. 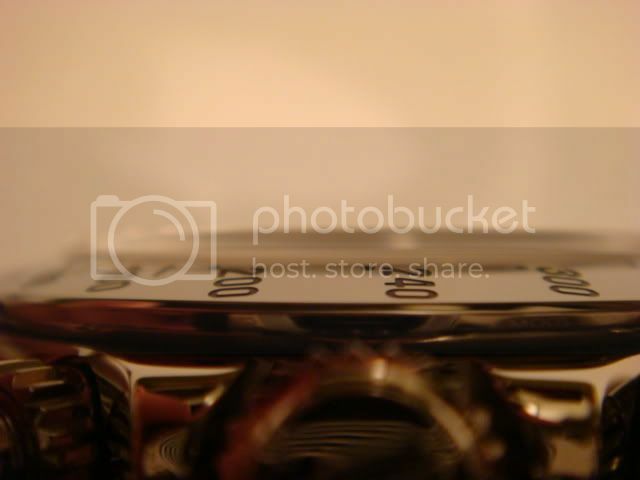 I will turn back to the bezel later under the "Legibility" section. The total of links on the new Daytona is 13 (5 on the six side and 8 on the 12 side). 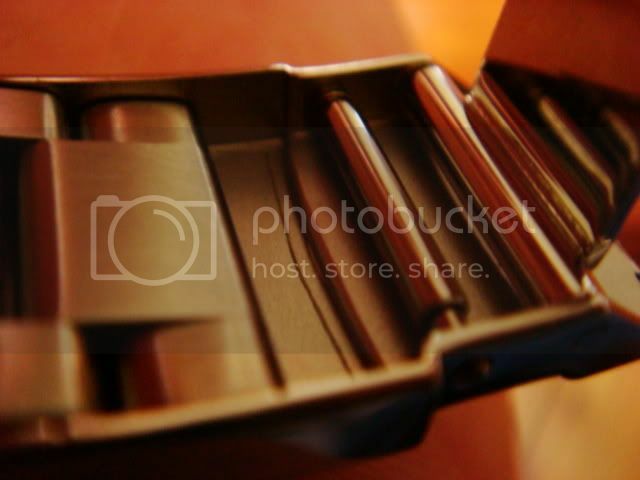 (note how elegantly it is made. You'd not think that there is an "Easy Link"!). 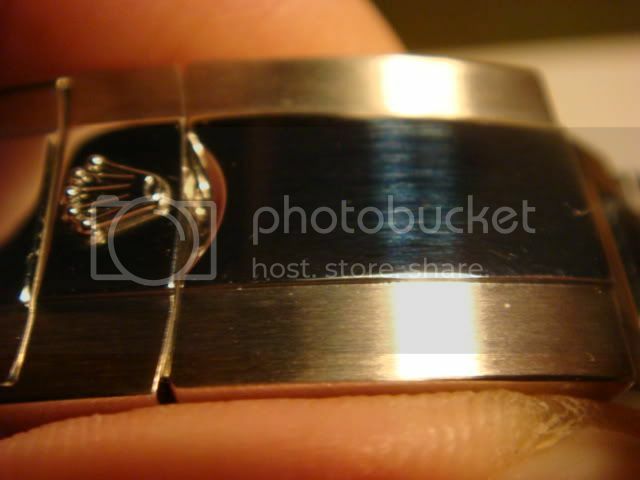 (note the pin inside the "Easy Link" that can be moved to one of the three hidden holes to make further clasp adjustments). 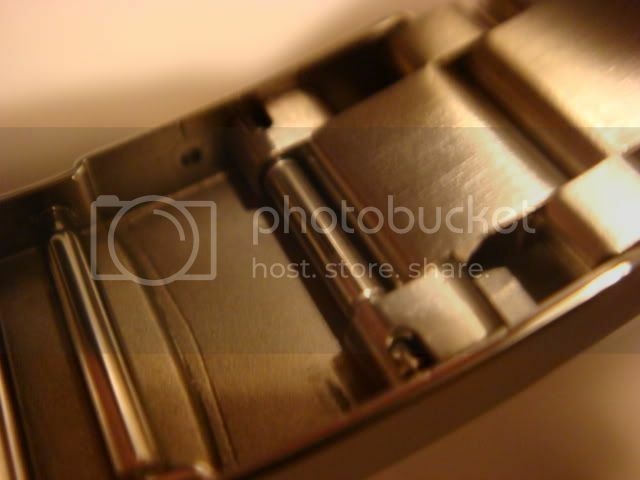 Besides that, the clasp says "Steel Inox" (steel 904L), E05 (date code for clasp. 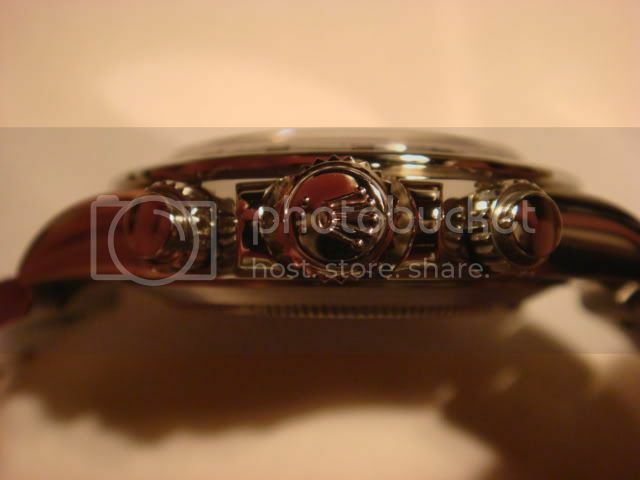 See more about those codes here) , "Geneva Swiss Made" and lastly the bracelet ref. No. (78490). (Pic from this web page). The arrangement of the subsidiary dials of the new Daytona has been changed mainly because of the construction of the new in-house movt. Cal. 4130. 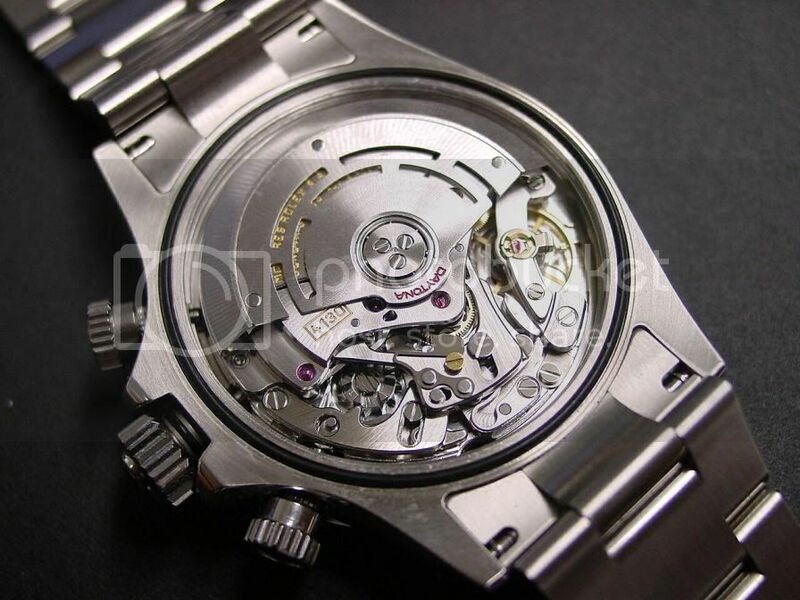 The new movement is of the socalled "Hunter" style (continously running second's hand at six o' clock) as compared to the "Lépine" style of the predecessor "Zenith" Daytona that has the continously running second's hand at 9 o' clock (source: This article). Further changes were bigger indices (hour markers) and - with the late F-series - also the socalled "Fat Hands" instead of "Skinny Hands" that were seen on the "Zenith" Daytona and the first examples of the Daytona with in-house movt. (see more about the difference here). Chronographs being able to measure time with 1/10 accuracy will have a seconds trail with FIVE small lines between every whole second. The Zenith El Primero with its 36,000 bpH is the only automatic movement that has this chronograph accuracy. 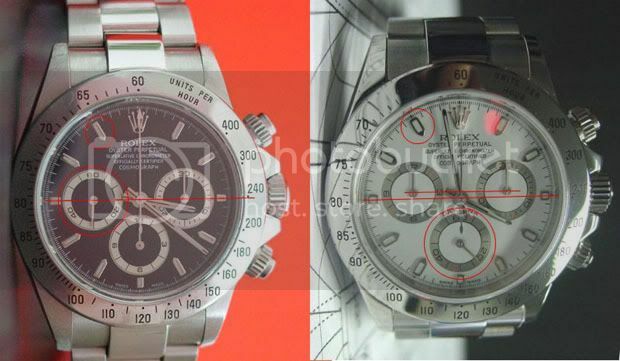 Since Rolex tuned the bpH down to 28,800, giving the chronograph an accuracy of 1/8 seconds, actually the seconds trail should have been changed to FOUR small lines between every whole second! But I guess most - even us WIS - can live with that "imperfection". The Cal. 4130 movement has a power reserve of 72 hours when the chronograph is not running and 66 hours when the chronograph is running continously. The "Zenith" Daytona had a power reserve of 54 / 47 hours respectively. Also, the new in-house movts. 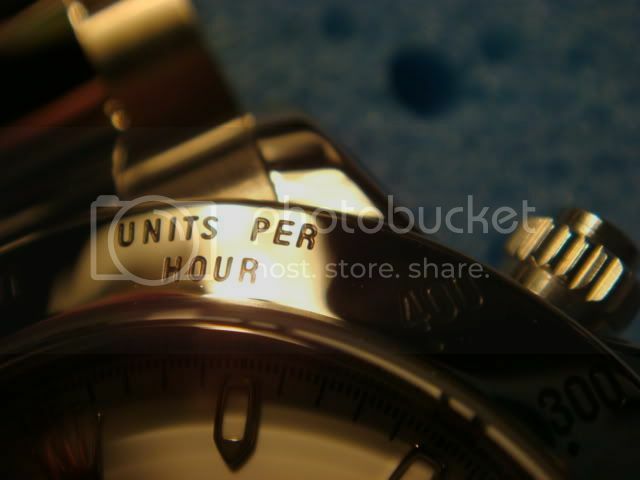 winds up 68 % faster (by wrist movement on its own) than the "Zenith" Daytona. The Cal. 4130 now has the Parachrom Blue hairspring that is impervious to the influence of magnetic fields and is also not affected by temperature changes. 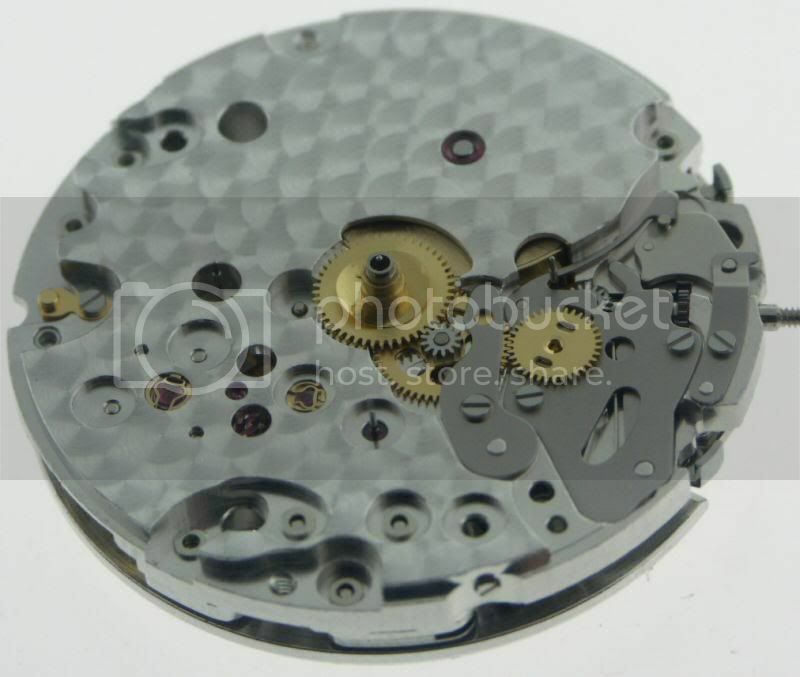 (read more about the PB hairspring here). The new in-house is considered to be among the ten BEST movts. EVER made (source: this article), and the main contributor to the amazing precision of the new Daytona movts. is without doubt the Parachrom Bleu hairspring. My Daytona 116520 went 1 sec. slow, but I had it regulated, and now - 14 days after the regulation - it is still absolutely spot on! 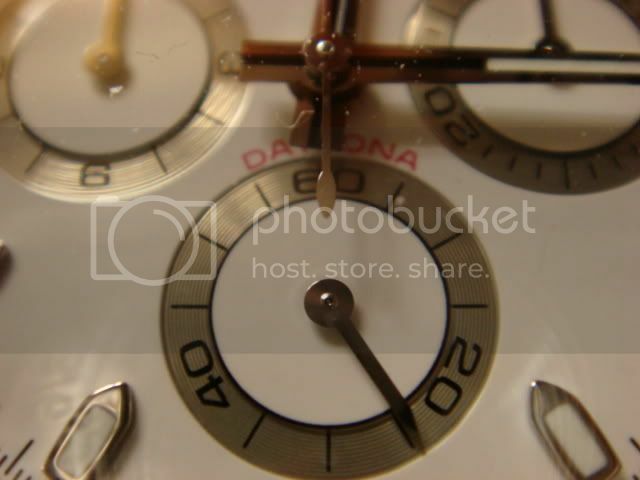 Due to the "Fat Hands" and larger hour markers, the new Daytona is VERY easy to tell the time from. Also, the more logical arrangement of the subsidiary dials of the chronograph is a big help when telling the time. 1) Easier to service due to the construction where the chronograph area and the winding area are each under its own bridge. 2) Increased power reserve and better balance construction. 3) "Hacking" seconds feature (i.e. you can halt the second's hands by pulling out the winding crown to its last position to synchronise with another time source. You could not halt the continously running second's hand on the "Zenith" Daytona movt.). 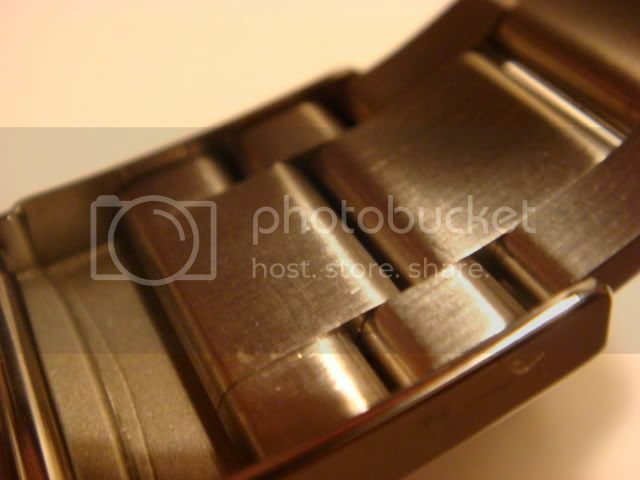 4) More solid construction of the clasp and bracelet. That one's going straight to the little collection I have at home about all things Rolex. Also, I am thrilled to see that the formats in the review were transferred with success. Good review! 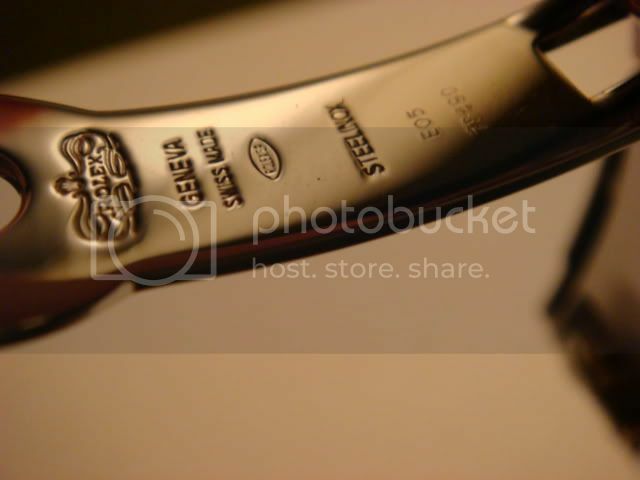 116520 is the BEST! I need to get down to this forum more often. That's a great review Bo. I did not know about the angle of the pushers being different on the newer models.